The summer has finally arrived and it's time to enjoy the weather! The summer has finally arrived and it's time to enjoy the long awaited warmer weather. So grab some shorts and pair of sandals and check out these top tips for making the most of Moscow's sunny season. 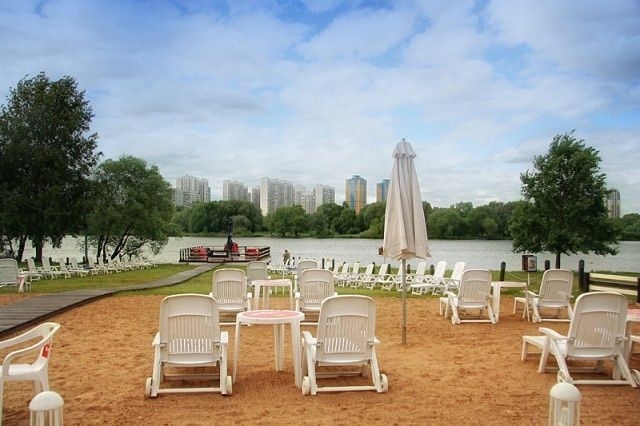 Beaches may not be the first thing that springs to mind when you think of Moscow, but the city actually has a decent collection of riverside beaches with sandy shores. The most well-known would have to be the sandy beaches located at Serebrany Bor in the city's northeast. Located on the Moscow River, the beach's waters have yet to flow through the city proper and as such are still unspoiled by downtown pollution. If you still can't muster the courage to take a dip in the Moscow River, try one of the city's summertime park pools. Sokolniki, Severnoye Tushino and Fili parks all boast pools. Prices vary, ranging from a couple of hundred rubles for Fili's riverside floating pools, up to 1,700 rubles for Sokolniki's fancy setup, which includes volleyball and pingpong tables. 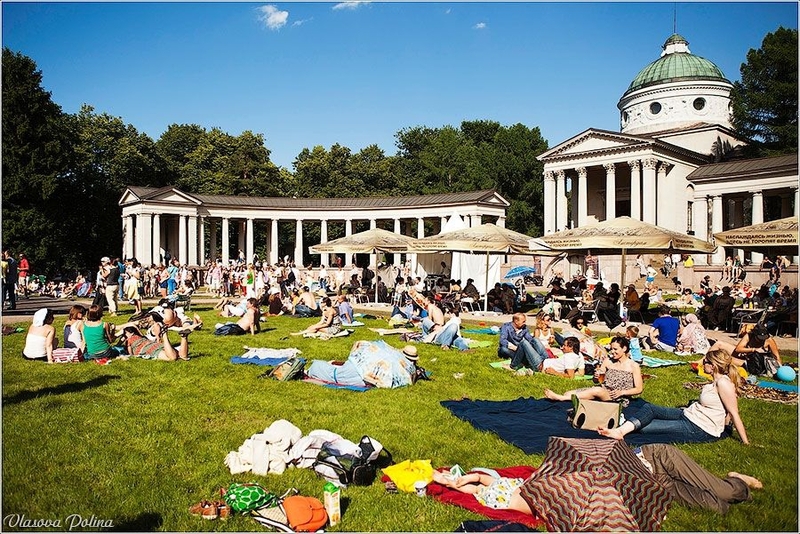 While cranking up a portable barbecue in just any old spot around one of Moscow's parks could well see you face a fine, there are numerous officially sanctioned barbecue areas around Moscow. One of the nicer spots can be found in Neskuchny Sad park by the Andreyevskiye Ponds. There's a wonderful view over the Moscow River and plenty of parkland to explore – just get there early as the picnic spots are snapped up early. 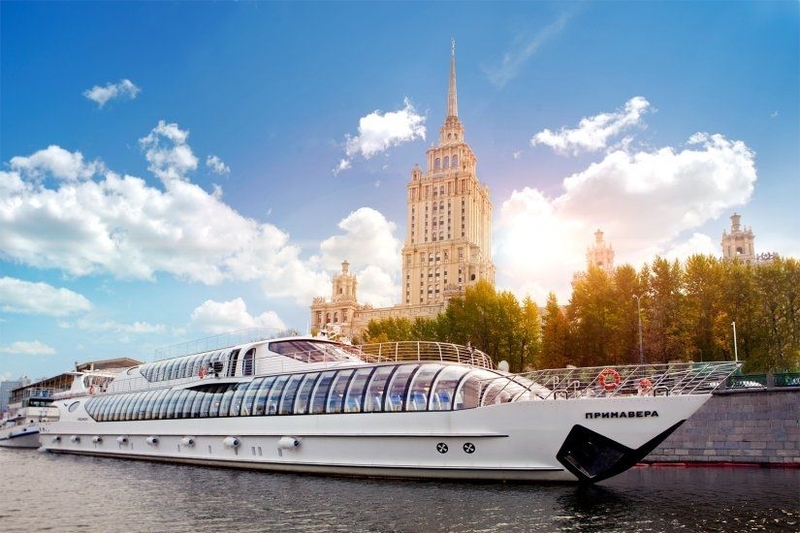 Spend an entire day floating along the Moscow River with an all-day ticket. Hop on and hop off as many times as you like. Hike up to the lookout out the front of Moscow State University. Stop for lunch at Gorky Park. There's plenty to do at the various stops along the Moscow River – enough to make a day of it. All-day tickets cost 800 rubles for adults and 400 rubles for children (kids under six cruise for free). If slowly cruising on an old-school pleasure boat seems a little too pedestrian for your taste, maybe a hydrofoil would be more your style. High-speed “rakety” depart from the Severny Rechnoi Vokzal river station, speeding you to the Moscow region's Bukhta Radosti – aka shashlik heaven. Besides a modest sandy beach, Bukhta Radosti boasts dozens of shashkik stands selling freshly grilled kebabs and cold tap beer. There are plenty of barbecue spots for those who prefer to grill their own. Feel like a bike ride but don't have a set of wheels – no worries, racks full of bikes for hire have sprung up all around Moscow. Register online at www.velobike.msk.ru and receive a PIN code. Find one of the dozens of bike racks located around town, punch in the code and you're good to go. When you're done, just drop the bike off at one of the racks. Moscow hosts lots of music festivals over summer, so there are plenty of happy vibes to go round. Some of the more popular festivals include the Ahmad Tea Music Festival on June 7 at Park Muzeon, Maxidrom on June 12 at Tushino Aerodrome, Usadba Jazz on June 14-15 at Arkhangelskoye estate, Park Live on June 27-29 at VDNKh, Svoy Subbotnik on July 5 at Gorky Park, and the granddaddy of them all – Afisha Picnic on July 19 at Kolomenskoye estate. 8. I scream, you scream, we all scream for . . .
Ice cream! Sokolniki Park is holding an ice cream festival from May 31 to June 1. All your favourite brands will be there, including Baskin Robbins, Inmarko, Mini Melts and more. Special classes in preparing desserts, plus competitions, games and more will also be taking place. Entrance is free. Hot weather wearing you down? Need a cool change? Head to Snej.Com for a spot of downhill skiing. The giant winter sports complex has a snow-covered 365-metre-long downhill slope as well as more regular ice skating rinks and other attractions. Best of all, the temperature on the slope is kept at a constant -3 to -5 degrees Celsius. Nothing beats simple pleasures and it doesn't get much simpler that peddling a paddle boat. 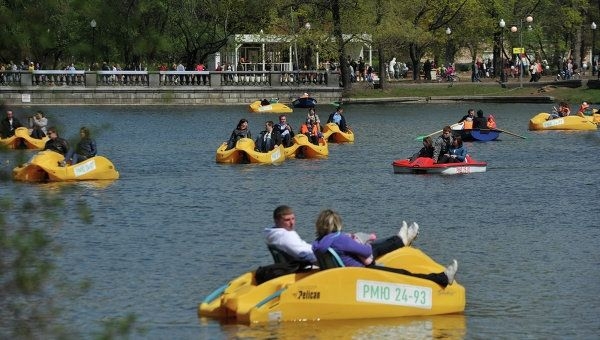 Gorky Park has one of the nicest ponds for paddle boating – just take care not to run over the ducklings.